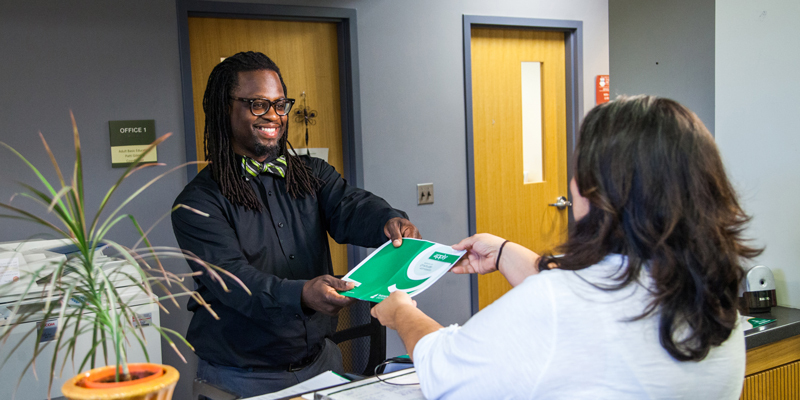 Wilmington University, Cumberland County College staff want to provide you all of the support you need to be successful—register for classes, meet with an advisor, get assistance with billing and payment information and more all onsite. Advance your degree close to home. 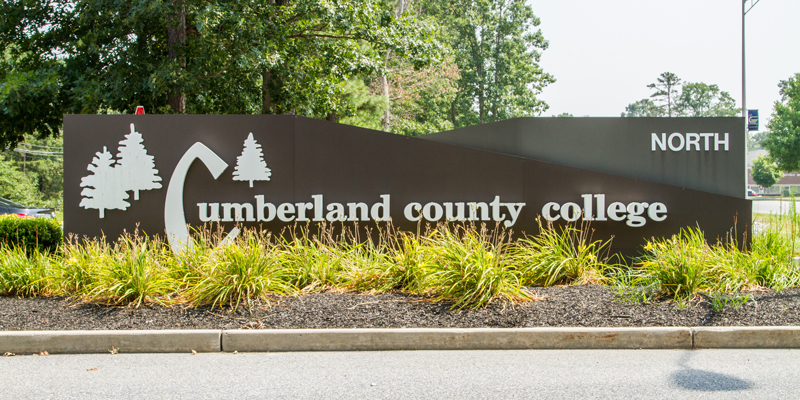 Cumberland County College and Wilmington University work together to bring innovative degree programs to South Jersey residents. 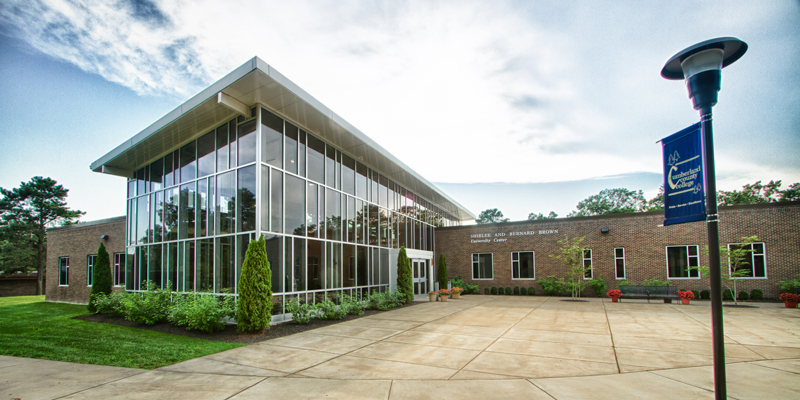 You can earn your bachelor's or master's degree right at Cumberland County College in Vineland, NJ. 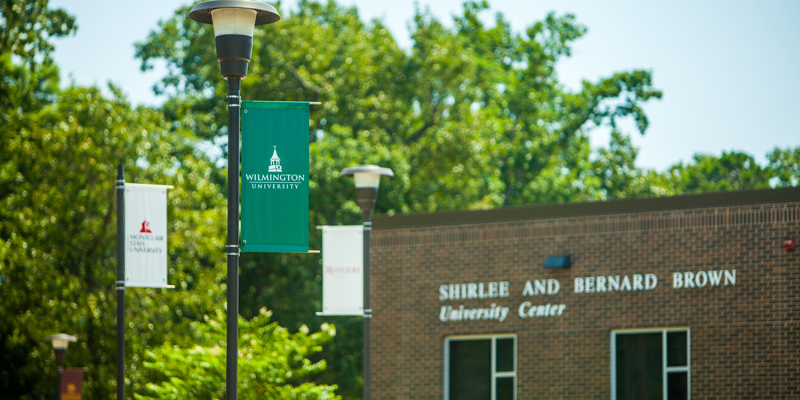 The Shirlee and Bernard Brown University Center provides a convenient location for Wilmington University and other partner schools to offer advanced degree programs to local students. You have access to a full slate of student services at our Cumberland Site. Meet with an advisor to talk about your academic and career goals, have your transcripts evaluated, and register for classes right on site in the University Center. Email Wilmington University on site staff, andreia.r.mack@wilmu.edu, or call 856-691-8600 Ext. 1553. 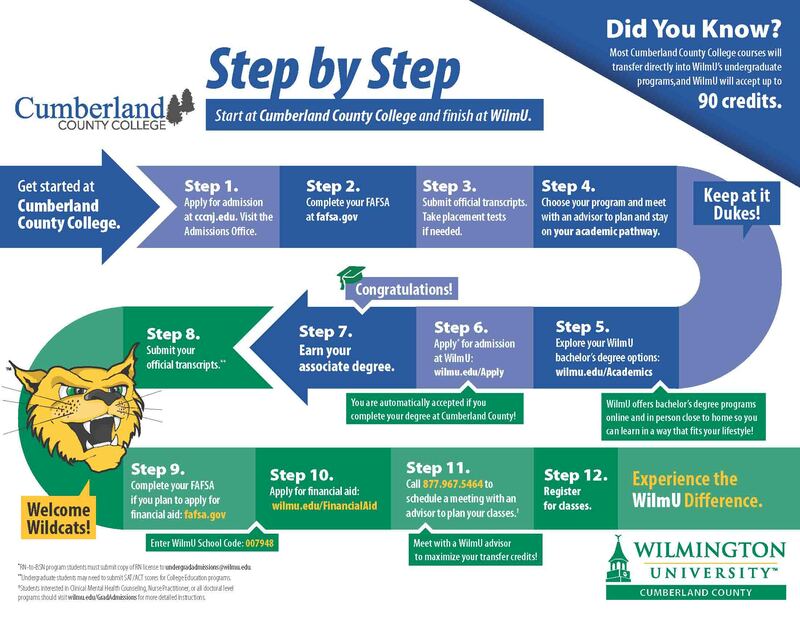 Find out how you can get started at Cumberland County College and finish at WilmU. 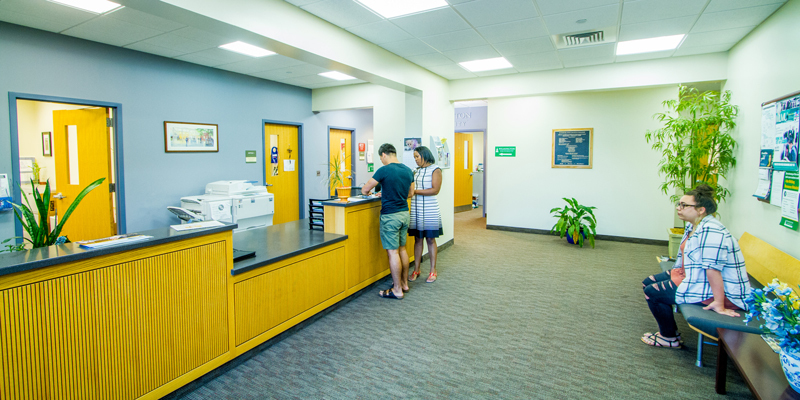 Cumberland County College offers a variety of associate degree programs that can be transferred directly into a Wilmington University bachelor's degree program. Learn more. See which courses will be offered at Wilmington University at Cumberland County College for the current or upcoming semesters.